The waiting is now over. The drawing back of this curtain reopened the Holy Stairs after a long renovation process on the stairs and frescoes above them. The steps Jesus walked when condemned to death in Pontius Pilates’ palace received a special blessing by Card. Angelo De Donatis, with the rector of the Sanctuary alongside. 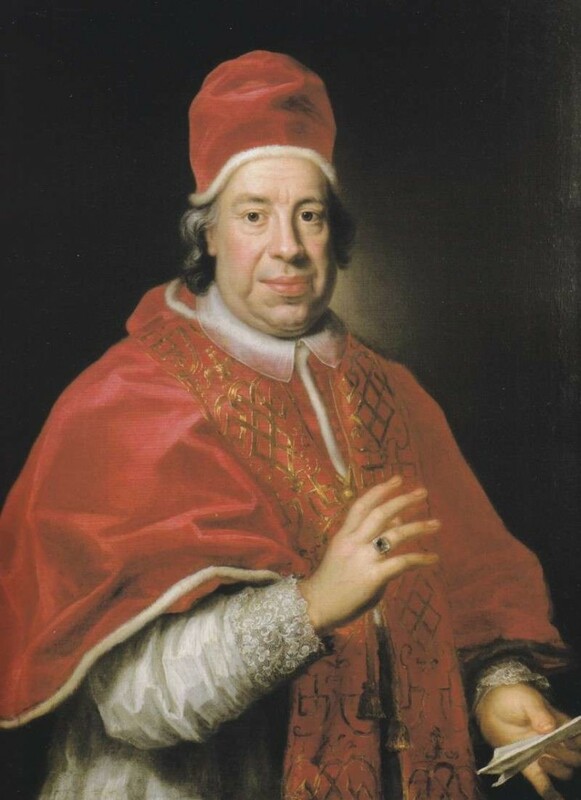 The Vatican Museums also had a large role to play in the restoration. Since the 1920s, they’ve had a specific conservation laboratory for paintings and are known for their excellence in restoration and preservation. Pilgrims lined up on this opening day to prayerfully climb up these stairs all on their knees. The restoration unearthed inches of dirt, ticket stubs and plastic bags buried underneath the wood planks covering the marble. Additionally, each of the drops of blood believed to be from Jesus were still preserved on the marble stairs. 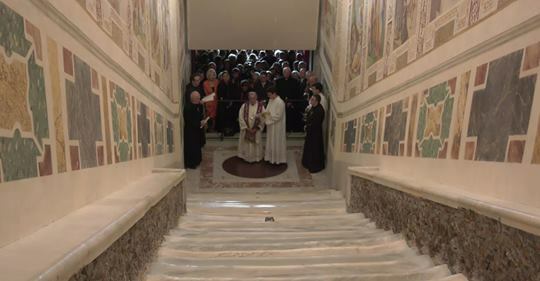 The special event began with a press conference and ended with a celebratory Mass, thankful for the opportunity to climb the original marble stairs Jesus Himself did, before they are once again covered with wood on Pentecost, June 9.